Do Seniors Suffer Unnecessary Pain? More than half of all seniors living at home struggle with chronic pain. Although the field of pain research has come a long way in recent years, the National Institutes of Health reports that pain is largely undertreated in the senior population. Chronic pain often leads to depression, which also heightens the perception of pain – which can result in a vicious cycle of pain, depression, isolation and inactivity. All of this affects a senior’s general health and independence. Family members and caregivers must be diligent about recognizing signs of depression and helping seniors manage their pain. 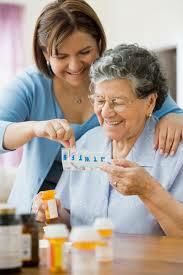 A reliable homecare system and homecare software can assist caregivers in this endeavor. Depression can set in when seniors try to ignore their pain, or believe that it will never improve. Pain can affect relationships and a person’s outlook on life itself. It’s crucial for in-home caregivers to carefully monitor their senior clients’ mental health using their homecare system or homecare software. Notes are securely stored in ClearCare Online’s homecare system and available to agency administrators, family members, and other care team members. Families can also check their homecare software for real-time updates on all daily activities and tasks. Exercise. While fear of pain may cause seniors to hesitate when it comes to exercise, physical inactivity increases pain and depression. Proper exercise is a natural pain reliever, and releases mood-boosting hormones. Caregivers can use their homecare software to set daily reminders for exercise, and can track their client’s progress. Physical therapy. This takes exercise a step further, and helps seniors move their bodies in a way that can control pain. Medications. Many different drugs help reduce pain, but it’s important to take them correctly. Once a physician has determined the appropriate dosage, caregivers should enter this information into their homecare system. Medication reminders can be set using ClearCare Online’s reliable homecare software so pain-relieving pills are always taken on time. Managing chronic pain can be challenging, but with an appropriately trained caregiver, patience, and persistence, it can be done. ClearCare Online’s homecare system and homecare software helps seniors maintain their independence, which is a key factor in warding off depression. For more details, check out our recent post on Promoting Senior Independence.